At school, we are consistently developing each child’s Spiritual, Moral, Social and Cultural (SMSC) learning. 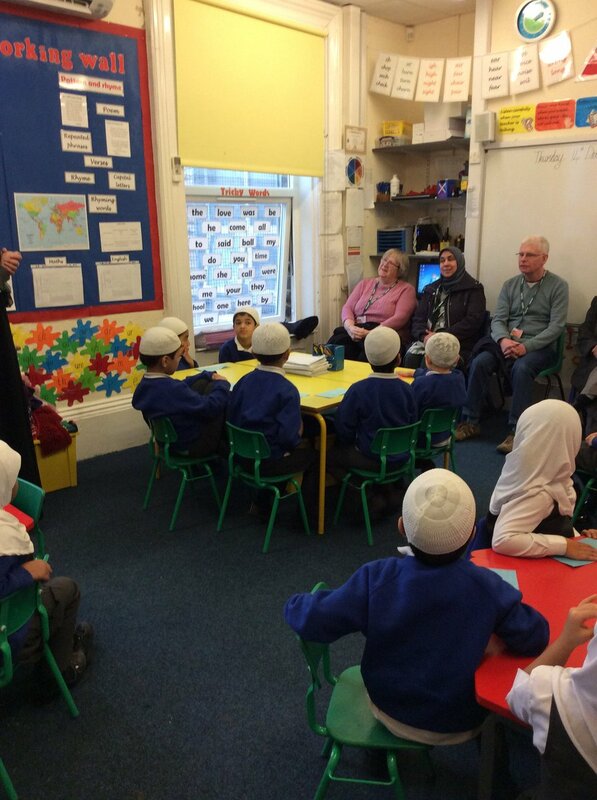 This is evident throughout the day and can be seen through our topics, visits and other activities; we encourage our parents to get involved at home with these areas by promoting tolerance, independence and extra-curricular interests, as well as developing them as an active British citizen and a positive Islamic role model for the community. In this section you can view how we enjoy doing this at school. 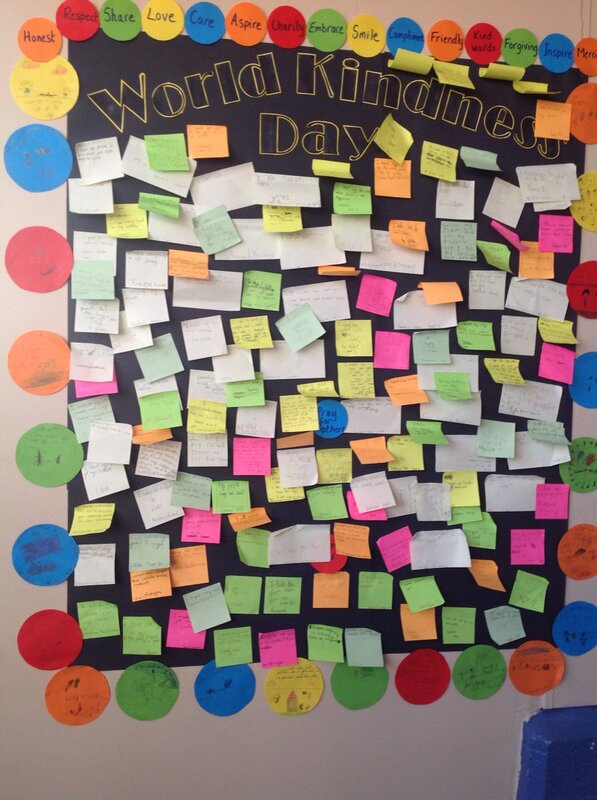 To celebrate World Kindness Day all of our children wrote an example of a kind act on a sticker and posted it on our board. This reminds us that we should be kind to everyone every day. We a whole day celebrating 70 years of the NHS. We learned some very useful first aid skills, the history of the NHS and what different jobs there are and also what it was like before the National Health Service was created. We also had a visit from a midwife! 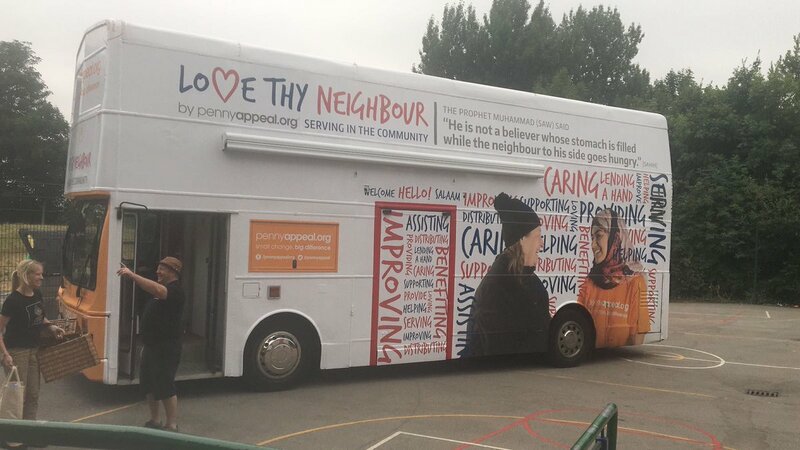 Hats of Faith bus came to visit our school to help us learn more about all the religions in the world and also to talk about tolerance and respect. Children have been learning about #DownSyndrome. 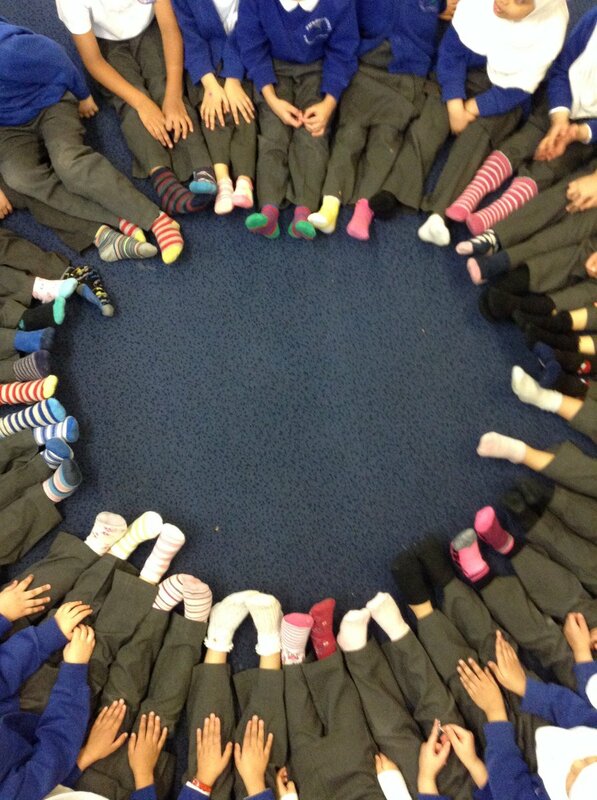 They have worn different socks to celebrate diversity and taken part in activities to understand the differences and similarities they share with children who have Down syndrome. 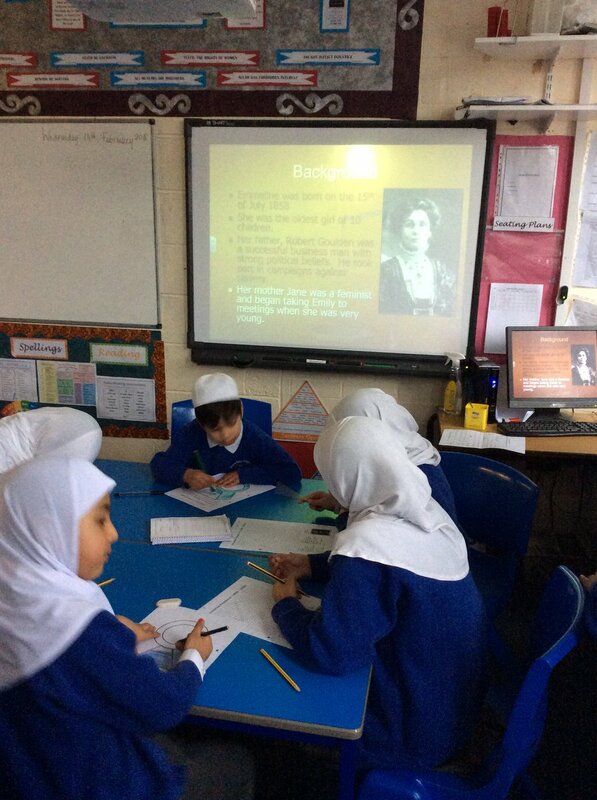 Our cross - curricular day focused on learning and celebrating 100 years of the vote for women. We used this event to learn about many inspirational women in history. To help consolidate the learning of the Year 1 children in their history lesson, we invited some grandparents to school to talk about how things were when they were young. It was very interesting for the children to hear about the types of games they played. The week of 16th - 20th November is Anti-Bullying Week which is marked with special activities and events throughout the school. This puts an extra emphasis on our "zero tolerance for bullying" policy. One of the activities this week was for each child to design an anti-bullying poster. A winner would be be selected from each year group and their poster would then be displayed on our Anti-Bullying Board. Well done to all children for taking part and we will look forward to hearing about the winners! During Road Safety Week, the Paradise children took part in various learning activities. These included both theory and practical activities inside and outside the classroom. We welcomed visitors to remind us how to cross safely and we enjoyed learning off each other while working in our mentor groups. The children in Year 3 joined forces with the Year 3 children from Madni and went out on a mission to clean up the community. They worked very hard clearing up rubbish and gathering leaves from a local area in Savile Town. It was a great and very rewarding experience by the children and a wonderful opportunity to link with another local school. We will look forward to more projects together in the future. Earlier in the week the children at Paradise were learning about the floods that affected the people of Cumbria and after some of the parents from PPS had been there to help with the clean up operation. The children felt inspired to help and were concerned that children and families, just like them, would be struggling to live in their own homes due to the devastation caused by the flooding. So on Thursday 17th December a group of children undertook a very enjoyable and lively 4 hour trip to All Saints CE Primary School in Cockermouth. 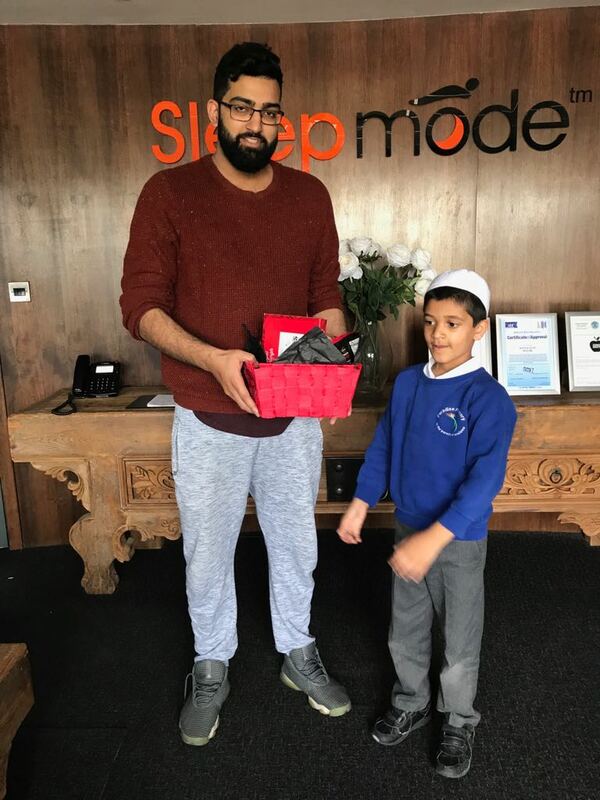 They met with the children and teachers, performed some nasheeds in a special assembly and delivered boxes of doughnuts as a special end of term treat. Aishah delivered a speech explaining to the children the meaning of the nasheeds and that the message given is that we are all one big family and should love one another no matter what happens. 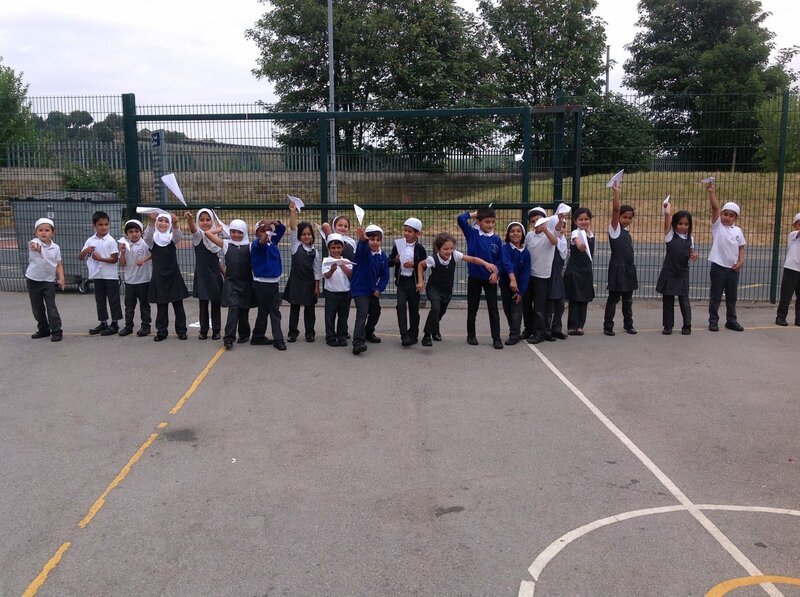 Ahmad led the children in the nasheeds and the staff and children of All Saints were very impressed. Meanwhile back in Dewsbury, the other children held a milkshake and nasheed afternoon where they each brought in a charitable donation in order to help the flood effected families in Cumbria. Both schools are excited about working together in the future. On 23rd October we welcomed our local newly elected MP to school. This was an excellent extension to our Election Day earlier in the year which was a very important day for Paula. Paula met with all of the children and gave them an insight into what her job entails and how she looks after our community. She expressed her enjoyment at visiting our school and hopes to return again very soon. Officers from West Yorkshire Police, including Community Liaison Officers and Prevent Coordinators spent the day educating the children about the merits of being a police officer and the perils of being on the wrong side of the law. This was a great opportunity to discuss safety with our children both on and off line. In July we welcomed Oreo and Cream to our school. They have provided the children with an opportunity to love, respect and care for other living creatures and have embraced the responsibility of looking after their daily needs with great enthusiasm. Reception class visited Tesco as part of the Farm to Fork scheme to see where their food comes from.They got to dress up and try different breads and cheeses and view all types of fish. On May 7th, National Election Day, the children of Paradise all took part in the experience just like all the politians throughout the country! Each class were allocated one of the main political party's, learnt all about them and developed their own manifesto, elected their own leaders and made election speeches for the whole school. The whole week the school building was transformed with bill boards and posters advertising the various parties. Teachers and children both enjoyed this whole experience and Year 4 reigned victorious! The children from Year 5 paid a visit to the residents in Barnfield one morning in March. They brought buns and snacks are prepared some musical performances for the the ladies and gentlemen there. Then they stayed and chatted a while about each others lives and different things they had in common. The children and staff loved the visit and made some friends there. After the visit one resident contacted the school to say how much they had enjoyed meeting the children and came and took an assembly for the whole school. We hope to visit again soon.